You want an isolated system showing irreversible and therefore nonunitary change? How about a perfectly insulated cavity radiator? I put some metal balls in – one of them very very hot. Through a tiny peephole I watch with amusement as details of the interior of the cavity gradually vanish from sight. Oh, no radiation is allowed in. I trust you to make the black hole analogies on your own. Michael Welford #8: On much the same basis, someone might object to Newton’s laws, on the ground that their form suggests the existence of perfectly reversible systems (pendulums that keeping swinging forever, etc) but we never see those in practice. I think most people realize that the question here is not about what I could or couldn’t do in practice, but about the form of the laws of physics relevant to black holes: will the correct equations be reversible ones, in the same sense that the correct equations for a lump of burning coal (or for your metal balls in a cavity) are reversible? Or is there irreversibility, not only in practice, but even in the equations? Now, you might object: if we only care about the form of the equations, and not about practical limitations, then why should we care about computational intractability a la Harlow and Hayden? That’s a good question. A glib answer would be: because computational intractability, while less “exalted” than outright physical impossibility, is nevertheless more exalted than mere practical difficulty. A better answer will have to await my response to Jay #10 below. (2) Pure thermal radiation can’t tell you anything about its source except for the temperature of that source ( and the fact that the source has a well defined temperature ). Anyway, if you’re trying to reconstruct a black holes history from hawking radiation, you’re too late. The informative time was when the hole was coming to equilibrium. You mention newtonian physics. Let’s compare newtonian with quantum physics. The newtonian rules tell us that if we know the forces on an object we can figure out its motion. The formulas for friction are ad hoc and ugly and approximate, but they give forces. We end up sacrificing the time symmetry that’s in the fundamental equations , but friction and other kinds of irreversibility still fit into the framework. The traditional model of quantum mechanics involves intervals of unitary evolution interrupted by wave function collapse. The unitary part looks mathematically like a complicated rotation. The nonunitary collapse part looks like a geometric projection. It feels like we have two sets of rules. Furthermore, wave function collapse brings in stuff that physicists find to be not so esthetically pleasing. Things like time asymmetry, irreversibilty, information loss, nonlocality. It’s more relaxing to insist that all change is unitary, than it is to face so much unpleasantness. Now you seem to be simply denying, without argument, one of the most profound, well-established insights of 19th-century physics! Namely, that the reversible laws governing our universe can (and do) give rise to “irreversible-looking” phenomena, ultimately because of the specialness of our universe’s initial state. Furthermore, far from being overturned by quantum mechanics, this insight is dramatically upheld by it—something that I think the Many-Worlders and the Neo-Copenhagenists actually agree about. For anyone interested in more detailed exploration of these issues, I strongly recommend Sean Carroll’s From Eternity to Here. Yes, I agree that the observable universe started from a special state. However entropy increasing phenomena aren’t just irreversible-looking. They’re irreversible since we can’t bring the entropy of the universe back down. I was trying to say, that in the traditional description of quantum mechanics irreversible change, characterized by wave function collapse, looks mathematically different from reversible change characterized by unitary evolution. This creates a temptation to (incorrectly) decide that all change is unitary. SAFETY TIP: If anyone is actually going to do this experiment, I suggest buying an infrared camera and maintaining thermal equilibrium with warm water. No, I don’t think lack of clarity is the problem. You were perfectly clear; the trouble is just that (without further elaboration) you’re wrong! The great insight of the statistical interpretation of thermodynamics was that, in theory, you could look at so-called “thermal” radiation, and work backwards to learn the original source of the heat. In other words, that there exists a clear sense in which “thermal” is just a word for our own ignorance. 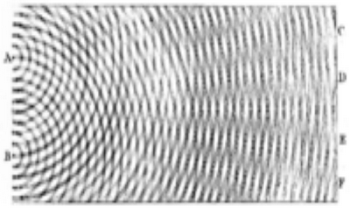 Our inability to reverse the heat diffusion (or unscramble the omelette, or unshatter the broken glass, whatever) is “just” a practical limitation, having to do with our failure to keep track of all the relevant microscopic details (or alternatively, to control the entire relevant Hamiltonian so that we could “set it in reverse”). Decreasing the “entropy of the entire universe” is a different matter, since there’s no one able to stand outside the universe to pump heat out of it. But if you wait long enough for a Poincare recurrence, then sure, you’ll even see the entropy of the universe (however you choose to define it) go down as well. Now, I don’t claim that this picture is sacrosanct. 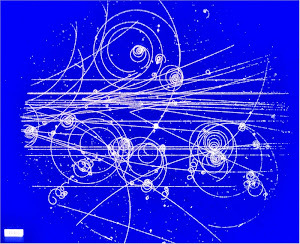 Maybe someone, someday, will give a convincing dynamical account of the origin of quantum measurement, in which case you really would have “genuine irreversibility.” (Until that happens, most physicists will continue to think about quantum measurements as “just another instance of the Second Law,” reversible in principle and only irreversible in practice.) Or maybe you want to use cosmology to argue that, once some of the information needed to unscramble your omelette is rushing away from you at the speed of light, your omelette is now unscramblable in principle, and not only in practice—assuming, of course, that you live in a deSitter universe, and not an AdS universe! I even toyed with that idea myself, in my “Ghost in the Quantum Turing Machine” essay. My point is simply that those are cases that have to be made explicitly, if they’re made at all—clearly indicating how and why you’re choosing to depart from the conventional picture. In other words, irreversibility can’t just be asserted; you need to state the mechanism for it! So we observe irreversibility in practice, but there is a belief that the equations should be reversible anyway, with the consequence that you will hit a firewall as you dive into a black hole past the point of no return. You just won't be able to tell anyone about it. This discussion clearly illustrate two points of view. Many physicists, like Aaronson, have a belief in reversible equations, and that belief underlies many-worlds (MWI), unitarity, black hole firewalls, information conservation, and various other theoretical musings that have never been observed in the real world. We do have some laws of physics that are not time reversible. The biggest examples are weak interactions (with CP violation), the second law of thermodynamics, and the wave function collapse. Time is irreversible. It is funny how physicists do not want to accept that. These developments have thus extended the domain for an application of quantum theory far into the mesoscopic and macroscopic realm, which lends strong support to assuming a universally exact and applicable Schrodinger equation. To make a physically compelling case for such a purely unitary quantum theory we must pursue two related goals. First, we ought to continue to design experiments which demonstrate the existence of quantum superpositions of macrosopically distinct states — and which, ideally, can explicitly rule out collapse models. Second, since the assumption of a universal Schrodinger dynamics implies that superpositions of (presumably macroscopically) different observer states are both possible and inescapable if we include physical observers into the quantum-mechanical description, we must simultaneously show that environmental decoherence provides the necessary and sufficient mechanism to explain our observation of a “classical” world. The emergence of the latter can then be understood not only in spite of, but precisely because of the quantum formalism — no classical prejudice need to be imposed. There will be a Nobel Prize for anyone who does an experiment to rule out collapse models. This has not been done yet, and may never be done.